Jensen Ackles, Kim Rhodes and more Supernatural stars feature on Recovering with Friends, a classic rock cover compilation created by musician Jason Manns. Manns went through the album track by track with us to share some details about recording with the cast. Music has always been a huge aspect of the Supernatural phenomenon, both on-screen and off. The show’s classic rock backbone — on The WB, a network that, at the time, was dedicated to showcasing the latest indie pop and marketing those soundtracks to teen viewers — was a prominent part of creator Eric Kripke’s original pitch, and it remains a touchstone for Supernatural’s identity to this very day. With that in mind, it makes all the sense in the world that the Supernatural cast’s off-screen engagement with their fandom is often heavily rooted in music as well. 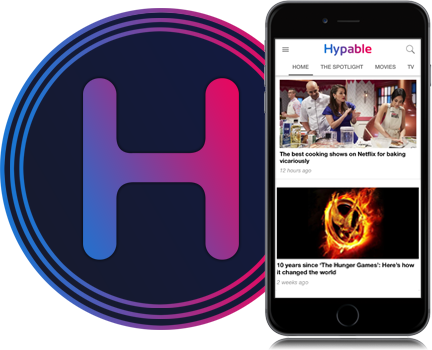 Many — and I mean many — of the show’s lead and recurring cast are musicians, which is a major factor of why Supernatural-specific conventions famously stand apart as something very unusual on the scene. At any given Supernatural convention, you’ll see a live band on stage the entire weekend, playing musical interludes to introduce panels, and you’ll attend a concert on the Saturday night: not, like some cons, a “wizard rock”-esque celebration of fandom music (not that there’s anything wrong with that) but instead just a straight-up rock show, featuring covers and original tunes performed by the musically inclined guests — usually, every single actor in attendance. Jason Manns is not, in fact, an actor on the show, but he’s a staple of these events nonetheless, because he’s a huge part of why this musical convention culture even exists. Manns is an old friend of actor Jensen Ackles – the pair met at a party in 2002, when they were both starting out in LA, and immediately began jamming together in private. When Ackles was offered his first Supernatural convention appearance in 2007, Manns, familiar with musical performances by the talented cast of the Buffy-verse through another friend Christian Kane, asked about the possibility of music at these events, and was invited along. A video of the pair performing together at a friend’s wedding had already gone somewhat viral, and when Manns brought a shy Ackles onstage to sing in person for the fans, the rest was history. Eleven years later and the Supernatural conventions have, along with fostering new friendships that lead to TV spin-offs and stuff, become a hive of musical cross-pollination. Supernatural star Rob Benedict’s band Louden Swain serves as “house band” all weekend long, as Benedict and partner in crime Richard Speight Jr. MC the entire event, and Manns is a guest of honor, with his own panel to kick things off. Artists who have met through the Supernatural con circuit have gone on to collaborate, forming new bands of their own and producing each other’s records, and Manns in particular has a knack for drawing the actors out of their shells and molding some who had never even sung in public before into genuine rockstars, onstage and in the studio — Ackles, who was once only confident singing back-up harmonies, can now do, well, this, and he’s just the tip of the iceberg. Jason Manns’ music is, rather ironically, somewhat comparable to the indie crooners that Eric Kripke was originally trying to eschew, but nonetheless, it’s been featured in the show, in a very tongue-in-cheek way, as Dean chides Sam for “douching up” the Imapala with an iPod dock and soft, sensitive music. In reality, his music is extremely listenable — as is Louden Swain’s — and both artists have hordes of fans who discovered them via Supernatural but who now follow their careers in their own right. However, in order to make the convention gigs even more accessible, both for the audience and for the actors that they tempt up onstage, the musicians pepper their sets with cover songs, and it’s this practice that led to the creation of Manns’ “Covers” series – full studio albums featuring the cast on a compilation of cover songs that he facilitates, orchestrates and curates. First up was a Christmas album — Christmas with Friends, which is a good sight better than any Christmas carol album has the right to be — and then Covers with Friends, featuring mostly rock songs that Manns and the Supernatural cast have performed onstage before or since. The third installment, Recovering with Friends, has just been released, and Manns was kind enough to provide us with an exclusive track-by-track breakdown of the ten songs he chose for the album. “I actually picked all of the tunes for this album, which wasn’t the case on the other two Covers with Friends albums,” Manns told us via email. Featuring Jensen Ackles, Mark Pellegrino, Rob Benedict and Richard Speight, Jr.
Recovering with Friends was recorded over the course of 2017, while Manns was simultaneously touring (both independently and with the Supernatural conventions) and producing records for other artists. Like the other two compilation cover albums he’s put together, the project was crowdfunded on Kickstarter. Unlike most Kickstarters, where a project does not go ahead unless the full funding is met, Manns set his “success” goal at merely $1, happy to work with any amount of contributions the fandom deemed worthy, and ended up receiving over $68,000 to bring this baby into the world – you can read Manns’ blog updates about the budget and recording procedure on the project page. Recovering with Friends is available now on BandCamp, iTunes, Spotify and most other music retailers and streaming services – but it can also be found on Stands, the Supernatural cast’s choice purveyor of charitable merchandise, where a portion of the proceeds will go the Jacmel Children’s Center in Haiti, an orphanage and school funded through Misha Collins’ charitable organization Random Acts. 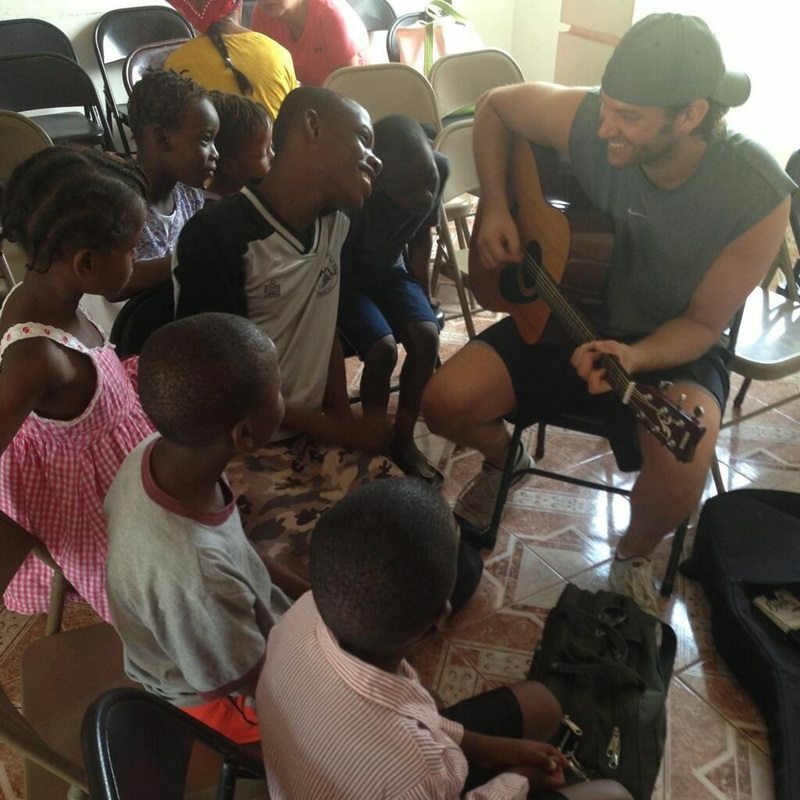 The Stands campaign is currently the only online spot where a signed copy of the album is available for sale, and Manns told us a bit about his personal connection to the Jacmel Children’s Center, which he visited in 2013. 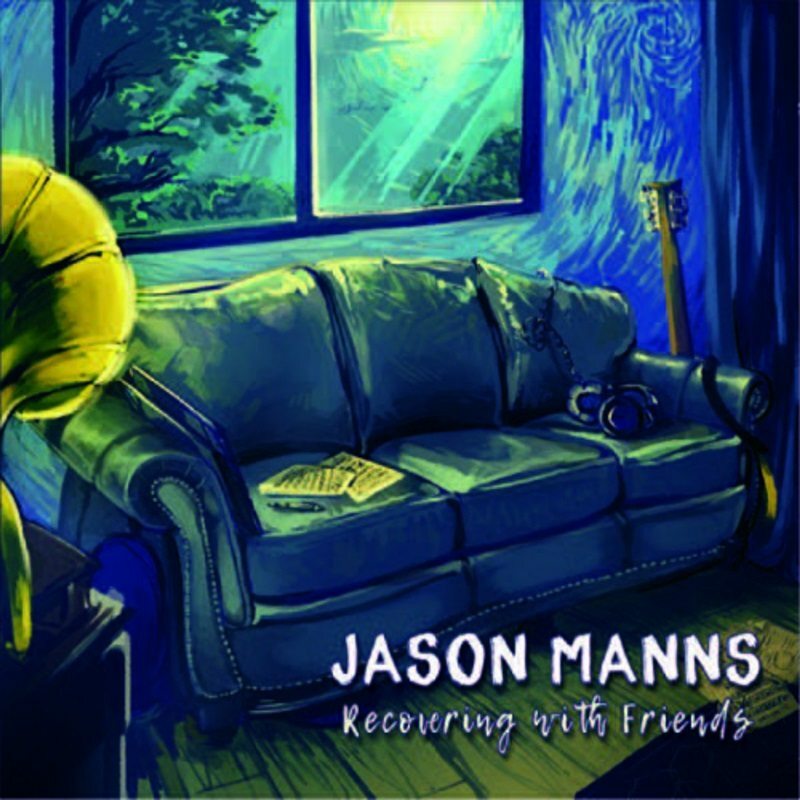 For this reason, Jason Manns has chosen to promote the album through Stands, where fans can purchase the digital download for a comparable price to any other music retailer, or, for a limited time, order a signed physical copy of Recovering with Friends. Buy or listen now and sound off in the comments about which track was your favorite!